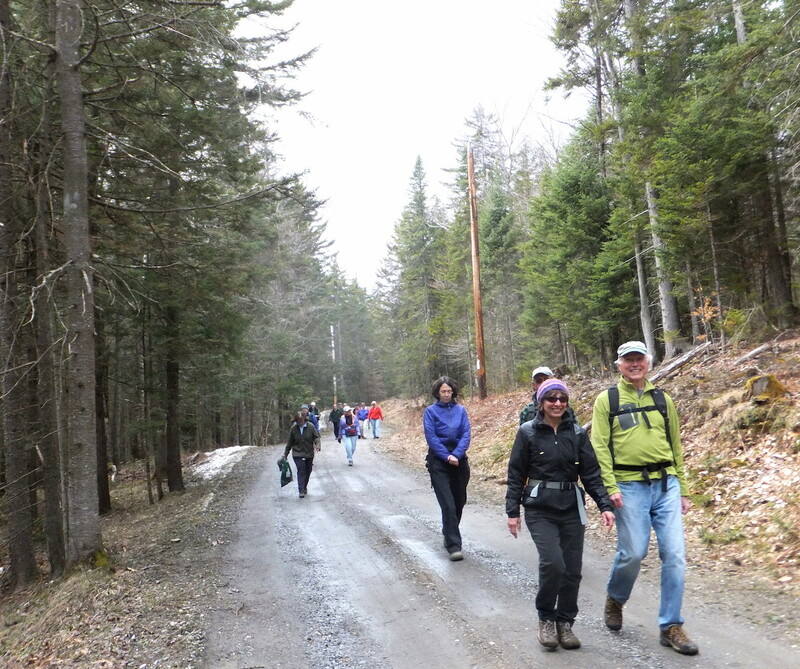 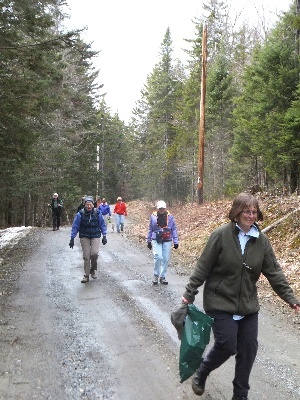 With the woods still too wet for hiking, The Trekkers went on another mud season road walk. 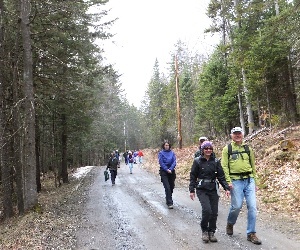 After several damp, overcast days, the weather was half-way decent, and we had a good turnout, including some newcomers. We did the 6-mile loop from the Rumney school, following Story, North Bear Swamp and East Bear Swamp Roads.